Hannah wanted to write a letter to Santa, but since she's only 5 years old, Jen composed it for her and Hannah signed it. 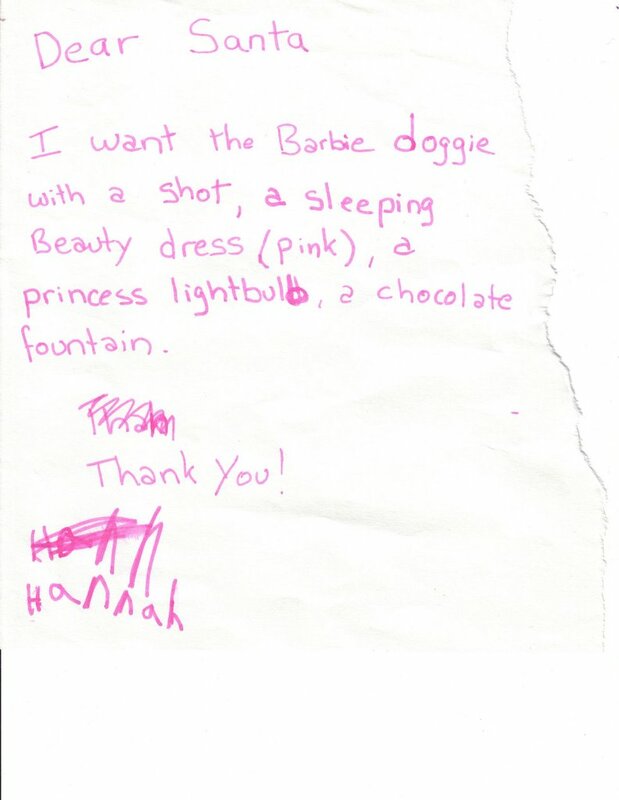 I have confidence that Santa will be able to meet her first three requests. We'll see. A barbie doggie that has it's shots? Make sure it has its measels and pox shot. Besides, isn't it time to pass on the techie traditon. Let her build a computer.